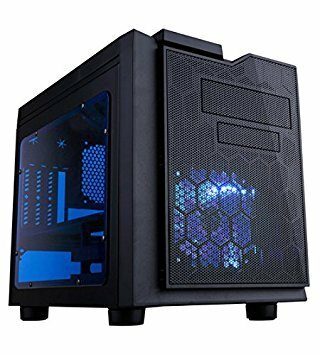 For a gamer on a budget, it may seem like the best computers for your favorite games are out of reach. But it's still possible to get good gaming computers under $500, so you can play the games you love and still have some money in your wallet. GPU. Look for the best GPU in your price range. Game performance and your experience is more heavily influenced by GPU performance and speeds than CPU speeds, so if you have to cut corners, don't cut them here. Ports. Some bargain computers don't provide you with all the ports you need, or use older, slower tech. However, gamers need fast, responsive inputs and shouldn't skimp on ports. Depending on your gaming setup, you may need to spend a little more to get multi-display capability in your computer. Cores. Even though you may not need the latest and greatest CPU, you won't have a good experience playing today's games with fewer than 4 cores. If need be, you can opt for a more affordable hyperthreaded or multithreaded dual-core CPU but get 4 cores if you can. RAM. While RAM is integral to a good gaming experience, RAM is cheap and easy to upgrade later. It's not worth compromising other specs for. Style. Of course, the LED lighting systems are fantastic looking, and can be customized to improve your game play and have a practical purpose. But when you're on a budget, the light show isn't where to spend your money. Keeping those things in mind, here are some of the best gaming PCs for less than $500. 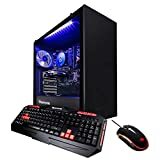 The iBUYPOWER Enthusiast Gaming Desktop PC has solid gaming style and good performance at an affordable price, delivering excellent value and game play on a budget. IBUYPOWER was featured by IGN as the Best PC Gaming Gear at CES 2017, and has been praised by IGN, Tom's Hardware, and PC Gamer. The iBUYPOWER Enthusiast Gaming Desktop PC ARC 031A features an AMD FX-6300 6 core processor, with base speeds of 3.5GHz, and turbo speeds of up to 4.1GHz. It has the Nvidia GeForce GT 710 dedicated graphics card with 1GB memory. It comes with 8GB DDR3 RAM and 120GB SSD drive. It has dual-link DVID, HDMI, and VGA display connectors, along with 2 USB 2.0 ports and 2 USB 3.0 ports. It comes with Cortana-ready Windows 10 Home 64 bit, as well as an iBUYPOWER gaming keyboard and mouse. The included keyboard has 101 buttons, with 8 special function keys and WASD styled to stand out in red. The included gaming mouse has an advanced optical sensor with up to 3200 DPI. The iBUYPOWER Enthusiast Gaming Desktop PC ARC 031A is assembled in the USA and comes with free lifetime tech support and a 1 year warranty on parts and labor. This HeindlPC Gaming Computer Desktop PC by Panther isn't as stylish as some, but gets the job done at an affordable cost, with good specs and plug-and-play functionality. The Panther Gaming Computer Desktop PC has great ventilation and soft lighting effects, to add some style to a fairly basic gaming PC. It has the AMD FX-4300 quad-core CPU with speeds of 3.8GHz, and the AMD 760G chipset. It comes with 8GB DDR3 RAM and a 1TB hard drive. It has a CD/DVD drive as well. It uses the Nvidia GeForge GT750 graphics card with 2GB of memory and has 7.1 audio channels. It can play Overwatch, Call of Duty Black Ops III, Bioshock Infinite, League of Legends, Warframe, Minecraft, Doom 2016, Rise of the Tomb Raider, Battlefield Hard Line, Mad Max, Assassin's Creed Syndicate, Crysis 3, GTA V, Wolfenstein, and more. It comes with Windows 10 Pro 64-bit pre-installed, and has 2 USB 3.0 ports, 2 USB 2.0 ports, and HDMI, DVI, and VGA display ports. It has free lifetime tech support and comes with a 1 year parts and labor warranty. 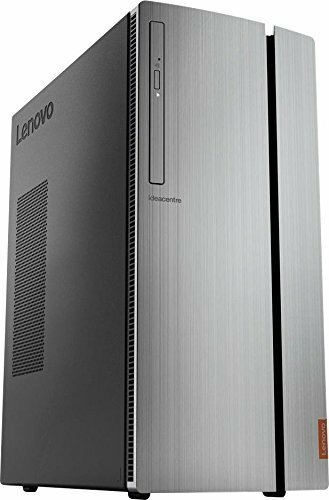 The Lenovo Ideacentre Premium Desktop is powered by the AMD Ryzen 5 1400 CPU, with speeds of up to 3.4 GHz Turbo. It has the AMD Radeon R5 3400 GPU. It comes with 8GB of RAM, and a 1TB hard drive. It is loaded with connectivity, including USB 3.0 ports, VGA and HDMI ports, a media card reader, wireless and Bluetooth connectivity, and even a DVD-RW drive. It runs on the Windows 10 Home 64-bit operating system, and also comes with a basic keyboard and mouse. These gaming computers all have good stats, broad capabilities, and will be able to run almost any game you want them to, although you may have to tweak your settings to optimize performance. But they are affordable, and capable, and will allow you to spend your money on the upgrades, accessories, and games that will complete your gaming experience. You don't have to put up with slow computers that lag, stutter, and can't keep up with today's games. These computers are budget-friendly performance machines.